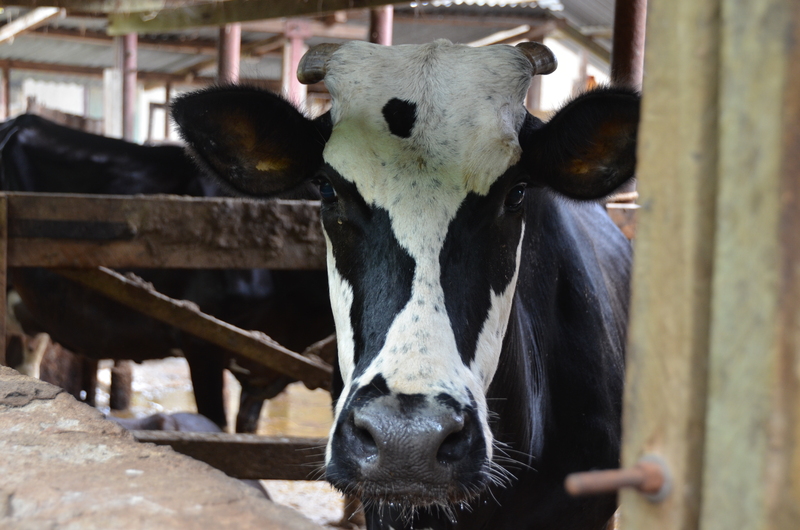 A dairy cow in Tanga, Tanzania. The Tanzania livestock master plan will guide investment to develop the country’s livestock sector (photo credit: ILRI/Paul Karaimu). IPPmedia reported last week that the Tanzania government has launched a Tsh1.4 trillion (USD596 million) livestock master plan that will guide investments to develop the country’s livestock sector over the next five years. A livestock master plan is a vision-driven road map with action plans to improve animal productivity and production as well as the value addition of key livestock value chains. The Tanzania livestock master plan was developed in consultation with livestock experts and stakeholders, who came up with relevant and realistic interventions to address the livestock challenges Tanzania is facing and to take advantage of available opportunities. The development of the master plan, which started in Feb 2016, complements the Agricultural Sector Development Programme II (ASDP II), the Tanzania Livestock Modernization Initiative. ‘The Tanzania livestock master plan is designed to address all major challenges facing the sector, which will help the country achieve the Tanzania Development Vision 2025’, said Luhanga Mpina, minister of livestock and fisheries, during the launch of the livestock master plan on 10 Mar 2019 in Dar es Salaam. The minister said the plan ‘sets out livestock sector investment interventions on improved genetics, feed and water resources, health services’ and a huge investment in livestock industries and factories. ‘I urge our development partners and private sector to join hands with the Tanzania Ministry of Livestock and Fisheries to ensure that this plan is effectively and efficiently implemented for the betterment of the livestock sector’, he said. The master plan was prepared by the Tanzania Ministry of Livestock and Fisheries in collaboration with ILRI and the Bill & Melinda Gates Foundation. Tags: IPPMedia, LMP. Bookmark the permalink.